Zippo 1935 Replica Lighter | BUDK.com - Knives & Swords At The Lowest Prices! 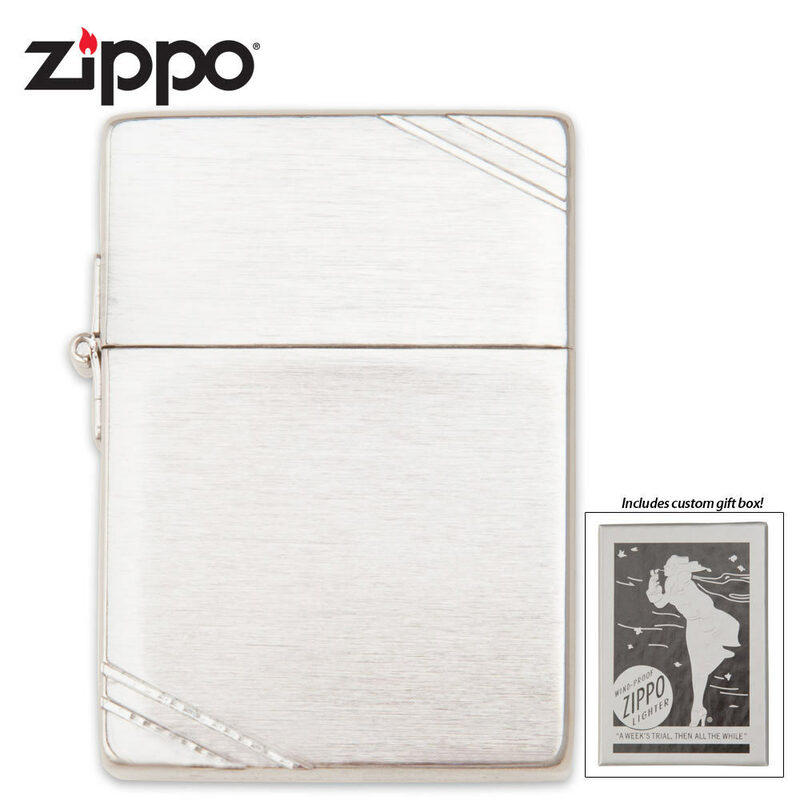 This 1935 Zippo Replica brings with it a nostalgic feeling as Zippo brings back the design from its early years. There are quite a few differences between modern Zippo lighters and Zippo lighters from the 1930s, such as the flat surface on its top and bottom, and the slashes on the opposite corners of the front and back surfaces. Another prominent example of these differences is the external three-barrel hinge instead of the five-barrel internal hinge. Also the striking wheel is held in place by an open hollow rivet. There is even a 1935 Replica stamp on the bottom of the lighter to identify it.